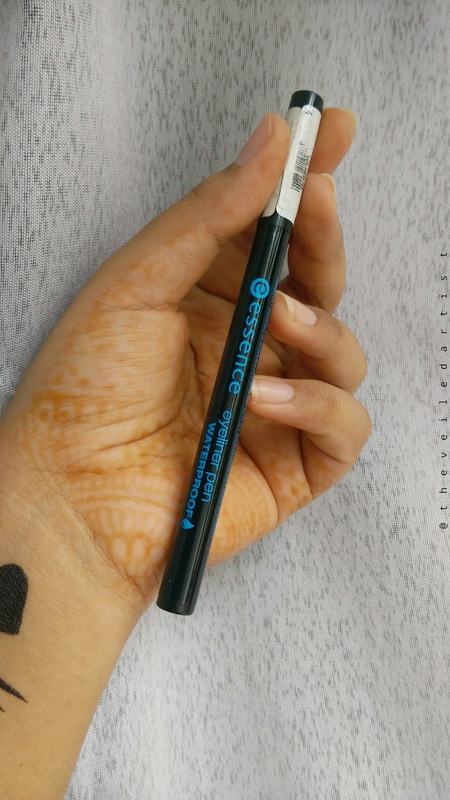 Essence Waterproof Eyeliner Pen Review and Swatches: Is this the perfect liner for summer? I hope you're having a great day so far! I just want to start this post off by thanking all of you beautiful people for all the love I received on my last few looks on instagram. I'm so glad you're loving them! 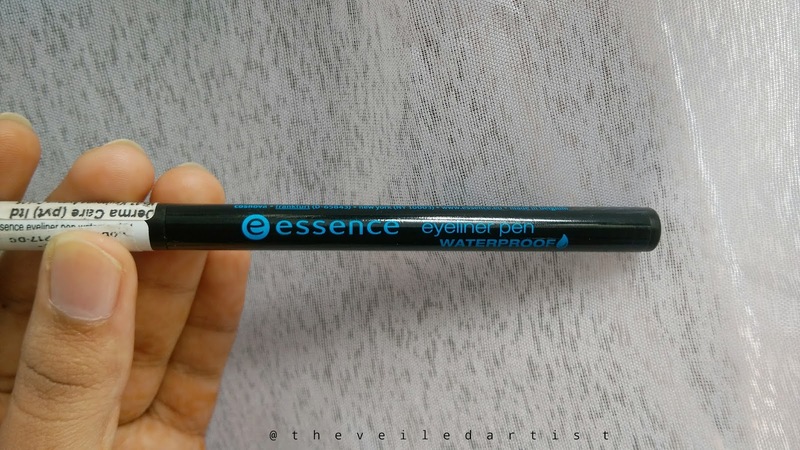 Today I am here with a review of the Essence Waterproof Eyeliner Pen that I have been testing out over the past few months ever since I posted my essence haul! So let's get right to it! I purchased this liner for 810LKR which is about $5 and you get 1ml of product. The liner has a firm felt tip and comes in simple pen form. The lid also shuts very securely making it great to travel with as you do not have to worry about it exploding or coming off in your purse or makeup bag. I have never really been a fan of felt tip liners because I feel like they are hard to work with as they tug on the eyelid quite a bit creating a jagged line and because of this, I do not even bother purchasing felt tip liners and stick to my beloved liquid liners instead. 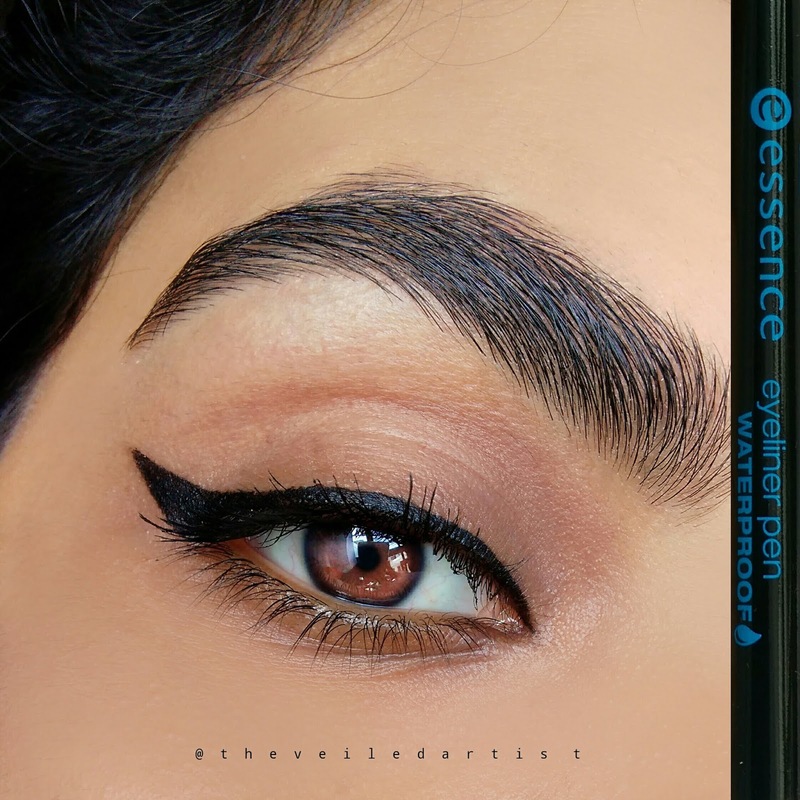 But when I was purchasing the essence products that I was interested in trying, I decided to give this liner a shot simply because it was extremely dark and pigmented when I swatched it. So how did it perform? I'm not going to lie, it has been a learning curve but I absolutely love this liner guys. Even though the formula has more of a satin finish than matte, it is so insanely black as you can see from the swatches. It's great if you just want to line your upper lashline for some definition or if you want to do a bold wing. You will have to work using smaller strokes and I also advice you to give it a good 5 minutes to dry once applied. There has been several instances where I have done my winged liner and went in to curl my lashes immediately after only to reveal that a whole chunk of liner is missing haha. But once it dries, the formula stays put and you will have trouble removing it at the end of the day even with micellar water. 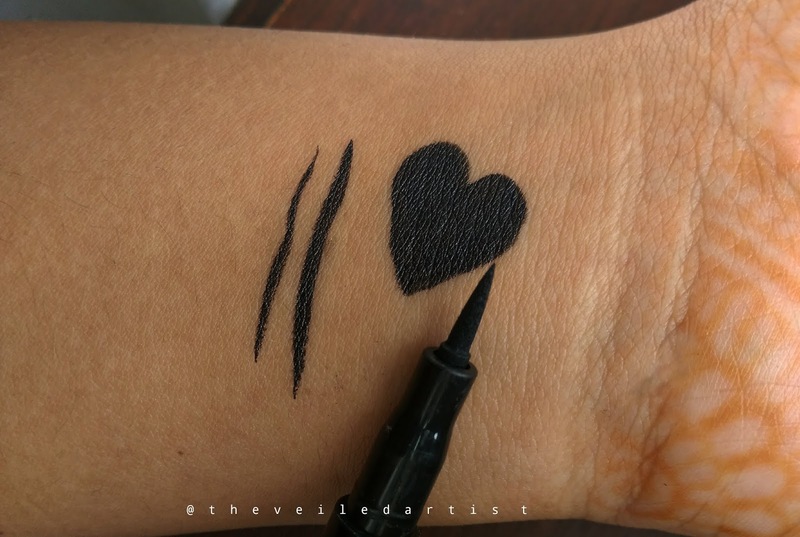 It works well even in the warm, humid weather in Sri Lanka and does not smudge or flake on my eyes either(flaking would make it impossible for me to wear the liner because I wear contacts) and I enjoy how this feels just like a pen when you are holding it. 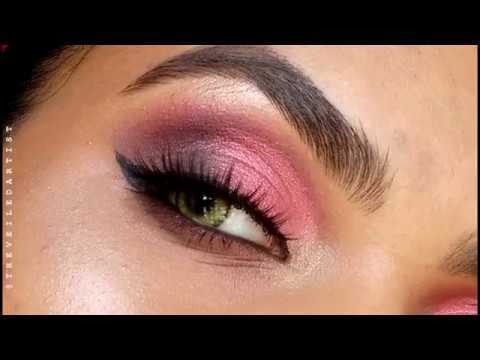 I don't know if I'm imagining this because I am so in love with how pigmented it is, but I find it easier to create an even wing on both eyes with this liner too!! I would recommend this liner a 100% guys and I think it's perfect for the summer heat that everyone is experiencing around the world right now! I am also pretty sure that I will be repurchasing this if I run out of it or if it happens to dry, which is common with felt tip liners. I really hope you found this review helpful my loves! You can check out my last post here. It was a tutorial on gorgeous glittery purple smokey eyes. another great look! man I wish i could do this! Oh I'm sure you can!! 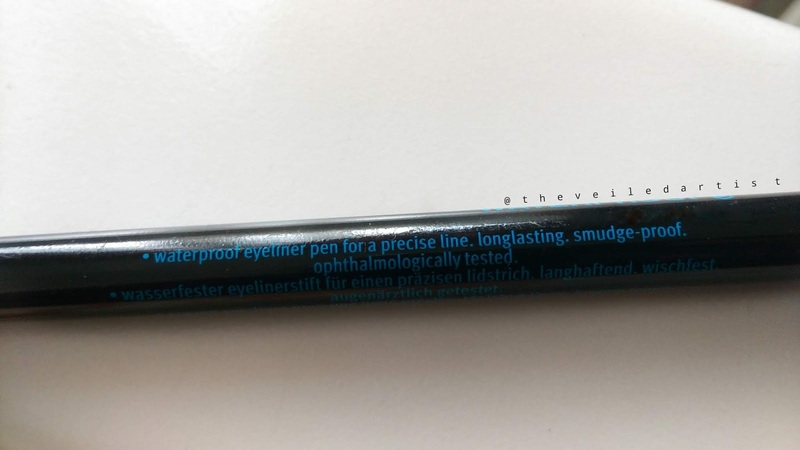 This is such a great drugstore eyeliner!